﻿ Dic Star Hotel, Vung Tau | FROM $36 - SAVE ON AGODA! "Nice view, great beach, make sure you get a wrist band befor..."
Have a question for Dic Star Hotel? "Pool and beach access is awesome!" "Staffs are helpful & nice." 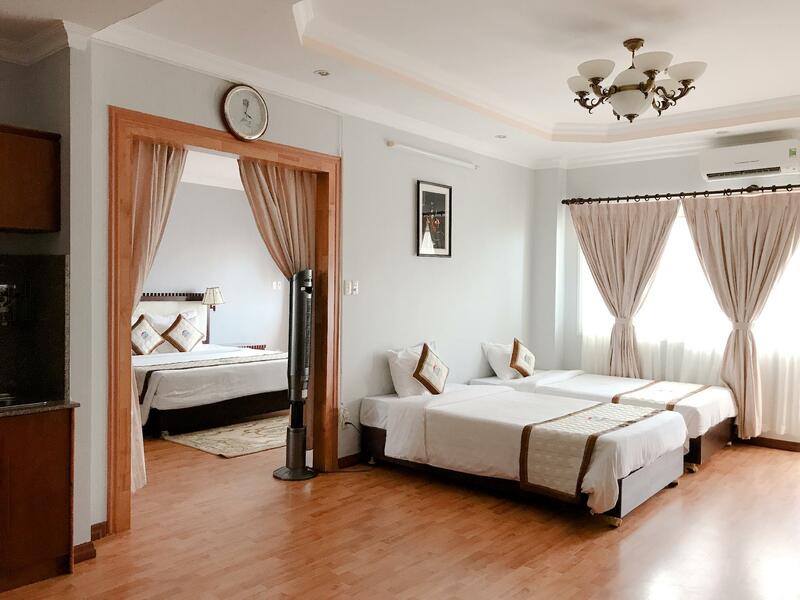 With an array of facilities, this 4-star hotel in Vung Tau will ensure guests are always entertained. Those who manage to woo lady luck at the on-site casino can buy a celebratory round at the attached night spot, the Star Club. The rooms are comfortable and decorated in a light tropical style, and the hotel lays claim to its own stretch of private beach. 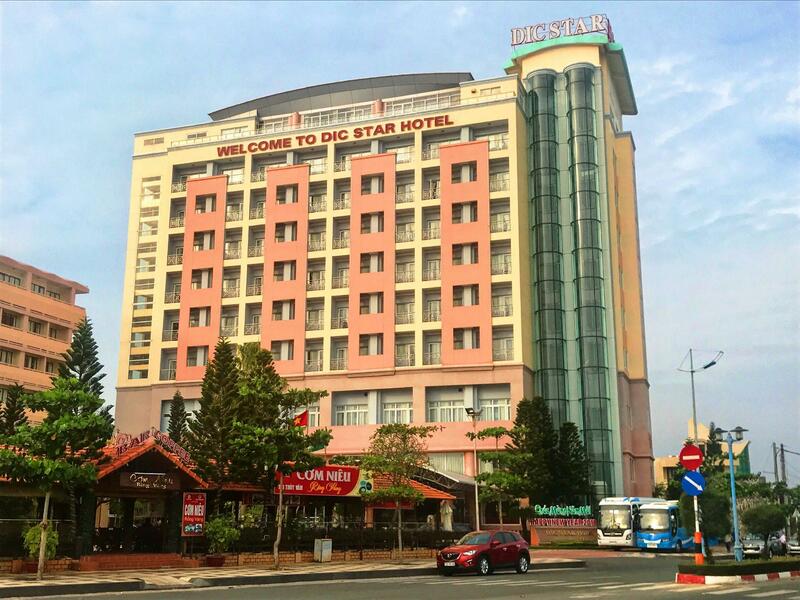 The Dic Star Hotel is situated on the tree-lined Thuy Van Street, just across from Cap Saint Jacques Beach and around a 10-minute drive from both the main city center and the local Hydrofoil terminal. 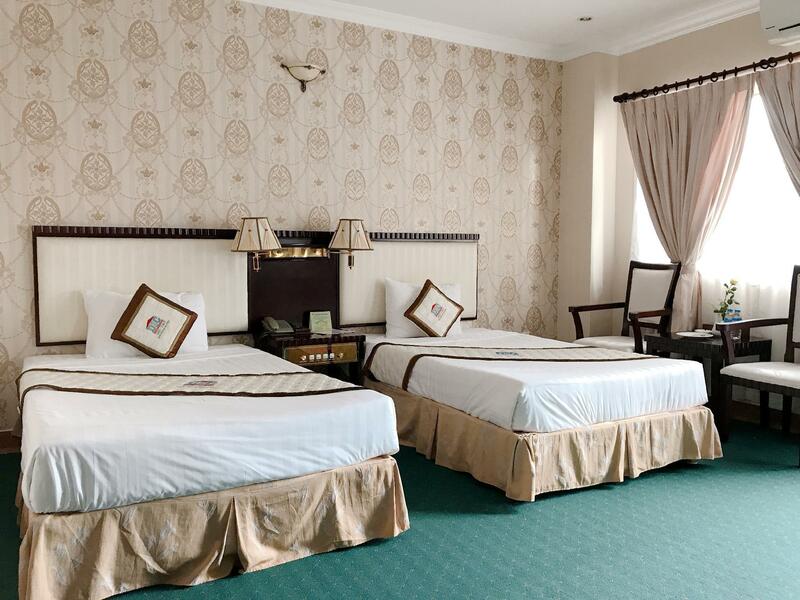 Our secure online booking form makes reserving your room at Dic Star Hotel simple. Just fill in your desired dates and click. "One of the best hotel to stay for young family, if going to..."
We booked online with one child 6 years old. Hotel wanted to charge extra for our little girl breakfast Breakfast was terrible. Very limited selection with not much taste. Breakfast close at 9am., even on weekends Swimming pool across the street. Open to public with charge. Would only give us 1 towel per room, even thou there were 3 of us. We had to carry lounge cushions ourselves to put on lounge chairs. There were absolutely no service provided. We arrived Friday late in the evening Asked for 1 hour later check Sunday morning, even with room not needed for the next guest, they wanted to charge 20% for 30 minute late check out. This hotel is all about how much money they can get from guest and not pay money to provide services. I have stayed at 3 Star to 5 Star hotels throughout Vietnam for 15 years, always good service. One of the best hotel to stay for young family, if going to the beach. very highly recommended. Pool and beach access is awesome! Breakfast is great, front desk and staff are super friendly and helpful. Little supermarket next door at the other hotel was perfect for beer, bottled water and snacks. 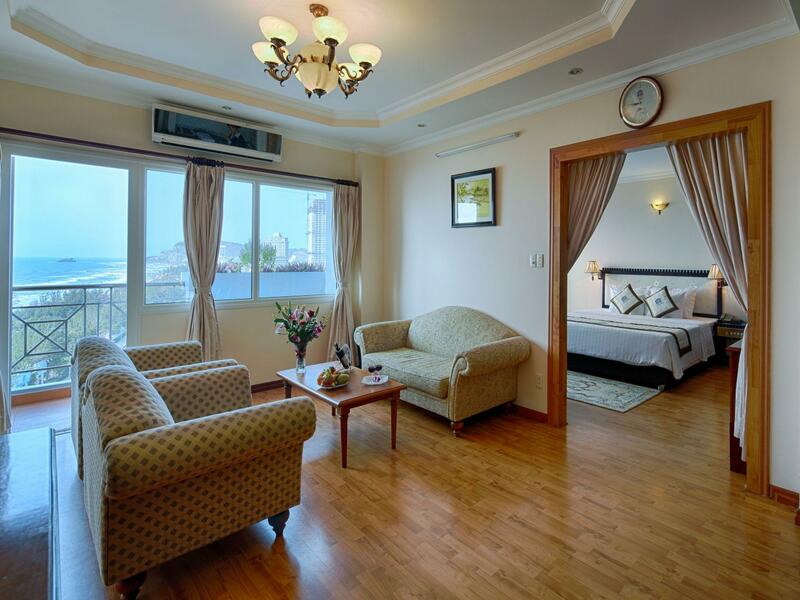 Great jumping off point for Vung Tau! good value through Ago Pro services and staffs the pool is huge and clean although its troublesome where the pool locates across the street. Nice view, great beach, make sure you get a wrist band before heading to the beach. They don't tell you this and won't accept the key card as proof. Pool deck is dirty and they don't allow food. The room was OK. Stained walls and outdated furniture. The bed was amazing. The room is clean but dark. Twin beds are large enough. Cable television is good. Price is much higher than quality. Hotel staff is friendly and professional. The hotel allowed us to check in early before 14:00 when the room was vacant. Swimming pool is little dirty. Elevator runs fast. Unpleasant, hotel standard not as expected. The Deluxe room was same size with Standard room, felt unsecured because there was no internal door lock. Room was not sound proof, can hear noise from outside of room. More breakfast choices required and regular replenishment. We enjoyed our stay. Staff were helpful without being overbearing.